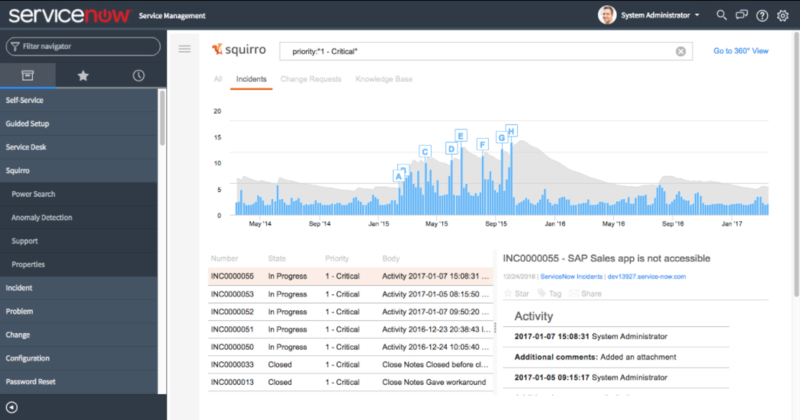 Just released: The Squirro for ServiceNow App bringing Insights for Proactive Incident Management. This Squirro Service Insights app helps you to rapidly extract the most relevant and valuable insights across your ServiceNow environment. With the App and its advanced search functionality you’ll be faster at any incident resolution, cut downtime, and you’ll be turning a reactive into a proactive approach. Husband, father, internet entrepreneur, founder, CEO, Squirro, Memonic, local.ch, Namics, rail aficionado, author, tbd.